Remember British Vogue Magazine cover, featuring Lana Del Rey? 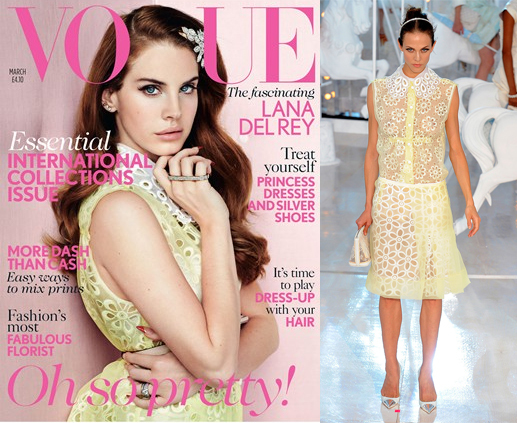 She was wearing a broderie anglaise blouse and a tepid collar in pastels from Louis Vuitton collection ! 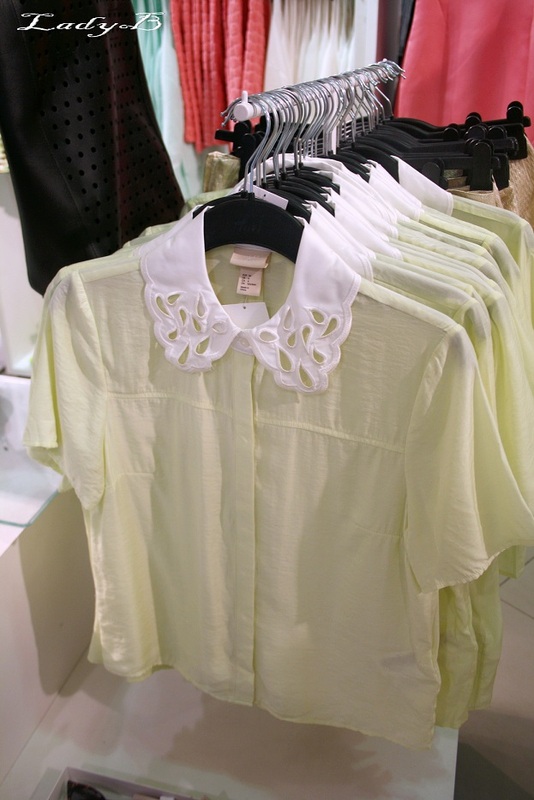 For a budget friendly item the collar looked very nice and almost a match, I didn't like the fabric of the pastel yellow top though ! Or if you fancy the eyelet collar by itself, it was sold as a stand alone piece as well and since my obession with collars won't subside any time soon I thought it was pretty decent..